When everything goes wrong, let Market Table be your BFF. 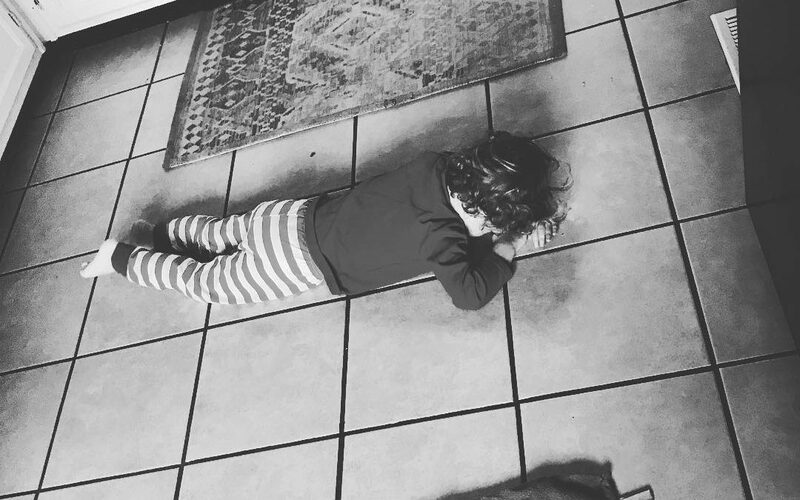 Today was one of those days that most moms know well… A day where all of your scheduling, planning ahead and organization efforts are rendered futile, your children transform into demons, and the world seems to work against you in every way. And it all happened before 8am. Woke up. Immediately sensed something was amiss. Stepped in a pile of poop that the puppy so graciously left at my bedside. How thoughtful. On to get the kids up. My youngest is already awake, and he’s covered himself in diaper cream. Fantastic. We’ll let the husband deal with that one. My oldest is awake, happy, but has some major goop seeping out of a bloodshot eye — pink eye. Wonderful. Looks like she’ll be tagging along to that 10 a.m. meeting. Next up is breakfast, where all hell breaks loose. Both kids are suddenly screaming and utterly heartbroken because they’re being forced to eat blueberry muffins … the same blueberry muffins they refused to leave the grocery store without just one day prior. Curious how things change so fast. Breakfast is followed by tantrums regarding one not wanting to wear rain boots and the other needing a specific pink colored bow that we can’t seem to find (not sure we ever even owned) but MUST wear today or we will die. Finally, we’re out the door and on our way. And then the car won’t start. Dead battery. Glorious. At that point, I wanted so badly to throw my hands up, cry “Uncle!” and have someone else take over for the day. But I’m a mom. We don’t have the luxury of giving up on a bad day and hiding in a cave where no one can find us. So, I did my best to muddle through the rest of the day. After a late afternoon doctor’s appointment for eye drops, I realized that I wouldn’t be able to get dinner on the table in time. But then I remembered: there is help out there. At least, help for dinner. A 3-minute stop into Market Table, and I had chicken fingers and mac & cheese for the kids, a slow-smoked pork belly and cauliflower fried rice for the husband, and a bottle (ok … two bottles) of wine for myself. Done, done and done. So, as I sit here with that (second) bottle of wine, just know that no matter how badly your day goes, it can always end well with Market Table. 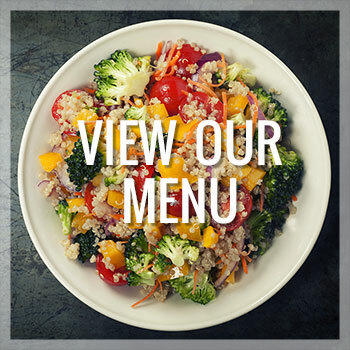 We’re deep in the dreary, chilly winter months, but that doesn’t mean fresh, tasty veggies are off the table. There’s plenty of nutritious and delicious produce around. 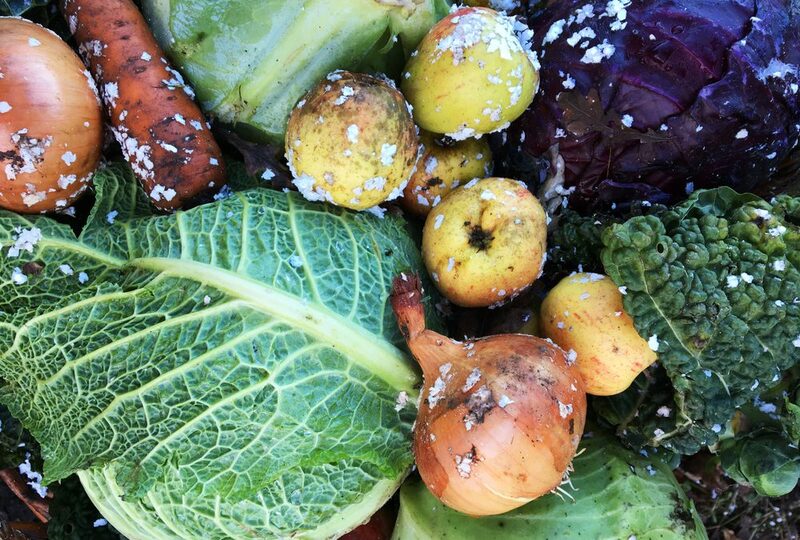 We’ve compiled this list to show you five of our favorite winter vegetables to cook with right now. These hardy vegetables can make a meal for a family of four with no problem. Prepare butternut squash by slow-roasting them in an oven at 350° Fahrenheit for 30 to 45 minutes. Check out this video or the accompanying recipe for a tasty Butternut Squash Risotto. It’s sure to be warm and satisfying on the chilly winter nights ahead. Acorn squash are every bit as tasty as butternut squash, but smaller. One half of an acorn squash makes for roughly one portion size. 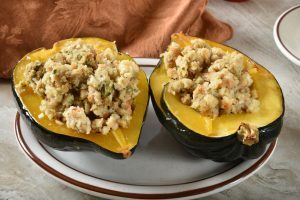 For a one-dish meal, fill roasted acorn squash with this recipe for a Moroccan lamb filling, or this delicious turkey filling. Leftover filling makes a mouth-watering addition to omelets or on toast the next morning. 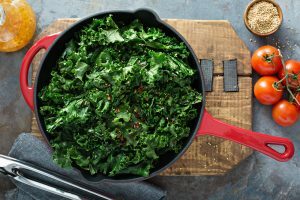 Kale is no stranger to superfood stardom, but its easy availability in winter is just another feather in this leafy green’s cap. Of course, we love kale in salads, but you can use this leafy green in hot dishes perfect for cold winter nights. 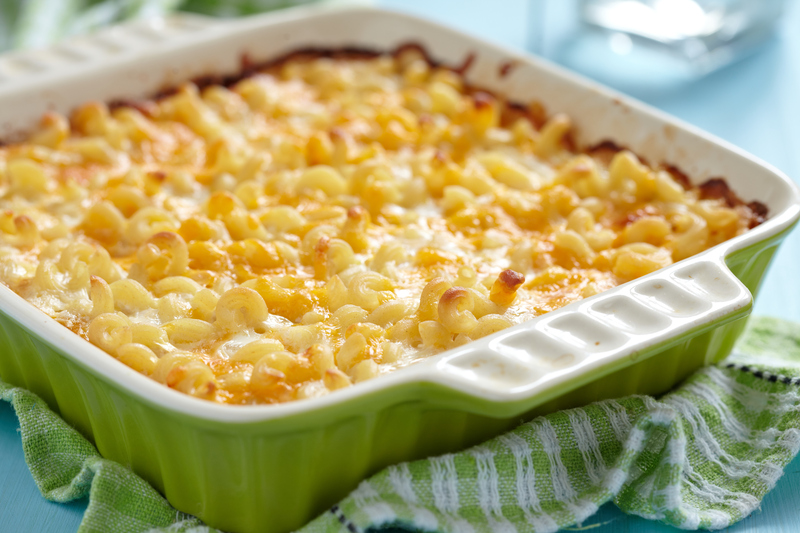 Southern Living features it in a pasta bake, making for an easy one-dish meal that’s warm and welcoming after long days at work. Kale also plays a starring role in Market Table‘s new Chicken & Ricotta Meatballs. This fully-prepared meal pairs spectacular and savory chicken meatballs with creamy polenta and sautéed kale. It’s gluten-free and ah-mazing! These winter root vegetables are not your traditional radishes. Asian cousins to the red radishes familiar to Americans, daikon radishes are less bitter and much bigger. They can be used in a variety of dishes for a starchy crunch, and make a delicious side dish when quick-pickled. 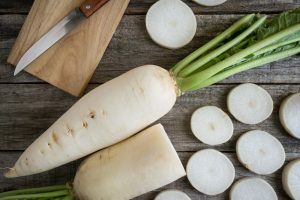 Check out this recipe for Daikon Pancakes. 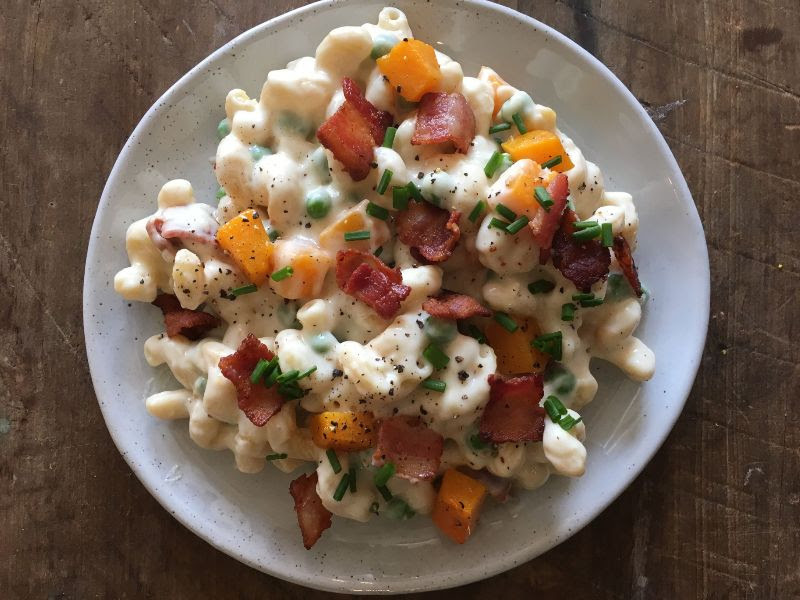 It’s a fun twist on a deliciously fried comfort food sure to leave you satisfied. 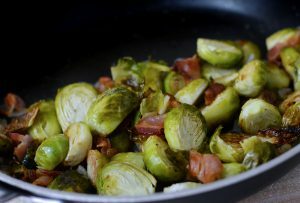 Brussels sprouts cook in under half an hour and can be seasoned to compliment all kinds of dishes. Bon Appetit offers up a spicy, sweet and tangy recipe for Roasted Brussels Sprouts with a Warm Honey Glaze. They’ll hit all the right spots and leave everyone at the table wanting more, making for a wonderful winter dinner. The most wonderful time of the year can also be the most stressful. 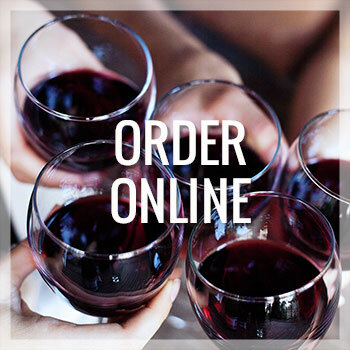 Between shopping, planning and cooking, a nice drink — whether it’s alcoholic or not! — can help you relax. 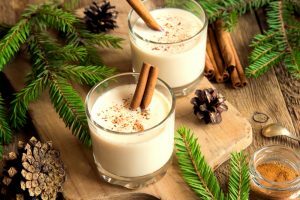 Why not get in the spirit of the holidays with these five fantastic and flavorful Christmas drink recipes? 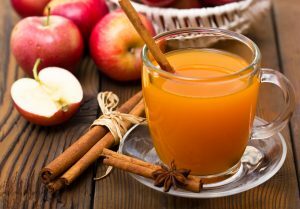 What’s a more traditional winter drink than apple cider? It pairs perfectly with the feeling of wrapping yourself up in a blanket next to a cozy fire. The first whiff of its fruity scent alone can lighten anyone’s mood. You can make cider in a stockpot on your stovetop or let it simmer in your slow cooker. Want your cider to pack a little more punch? Try these recipes for cider spiked with bourbon or with rum and cinnamon schnapps. Of course everyone loves hot cocoa. It’s an expected part of the winter season. But why not shake things up a bit by fixing a cup of Candy Cane Cocoa? 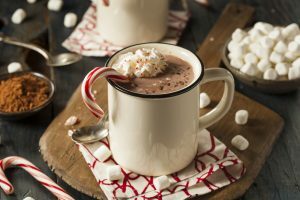 The familiar, rich chocolate taste melds well with the melted candy cane bits, giving you a hot drink that truly tastes like Christmas. Not so hot on peppermint? There are other ways to give your cocoa a delicious seasonal twist. This Nutella Hot Chocolate recipe includes the sweet, delicate flavor of everyone’s favorite hazelnut spread. 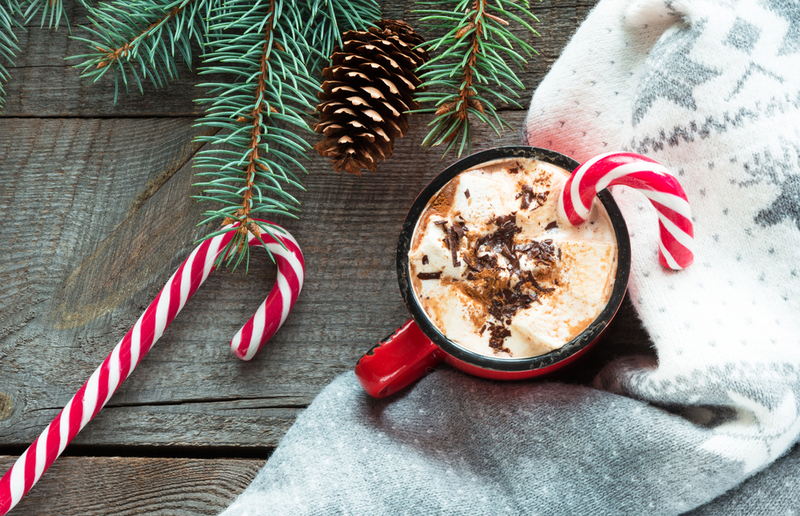 To spice up your holiday season, try Mexican Hot Chocolate or Gingerbread Hot Cocoa. And, of course, there’s only one thing better than chocolate, and that’s chocolate with booze. This recipe from Liquor.com lets you choose between peppermint schnapps, Irish cream, coffee liqueur, or bourbon. Eggnog just might be the Christmas drink. The traditional treat that combines milk, eggs and bourbon or rum has been a favorite for centuries. Its sweet and flavorful nature will give you a warm feeling even on the coldest day. 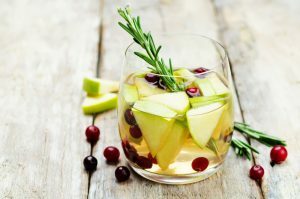 You can even try a non-alcoholic or vegan recipe to make sure everyone at your Christmas party can enjoy a cup. Don’t have time to stand by your stove? Simmer this seasonal sensation in your slow cooker with this recipe from Crock Pot. For a fun twist on tradition, try a Crock Pot Eggnog Latte or this taste-alike recipe that puts everyone’s favorite coffee stop to shame (and just happens to be delicious with a dash of Southern Comfort!). Before you judge us for this next one, think of the kids. But actually, the adults may love it just as much. 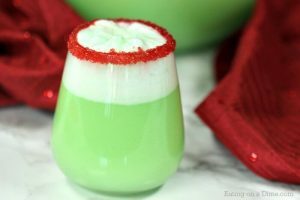 With its combination of green punch, Sprite, lime sherbet and optional red sanding sugar, it’s sure to be a fun holiday drink that will make your heart grow three sizes! Create a new tradition with this stunning twist on everyone’s favorite bubbly brunch beverage, the mimosa. Delish’s Christmas version, the Christmosa, is — well, delish! Fresh fruits like apples, grapes, and pomegranate seeds carol in perfect harmony with sparkling white grape juice and prosecco. We recommend Jacques Pelvas Brut de Blancs sparkling white wine — which just happens to be 20% off at Market Table! Last but not least, another traditional Christmas favorite. Hot buttered rum is always a crowd pleaser. And with this recipe serving as a base board, you can experiment with different types of liquor to customize the drink any way you want. 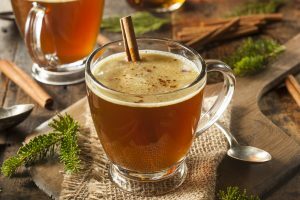 You can even combined hot buttered rum and apple cider or hot buttered rum and coffee for the ultimate Christmas cocktail combo! 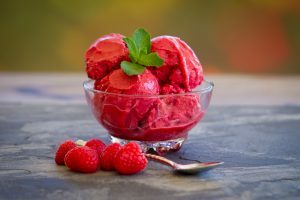 With the kids out of school and summer in full swing, we put together a few healthy frozen treats to cool everyone down on any hot summer day. These treats are easy to make and utilize natural sugars and healthy sweeteners. Enjoy! 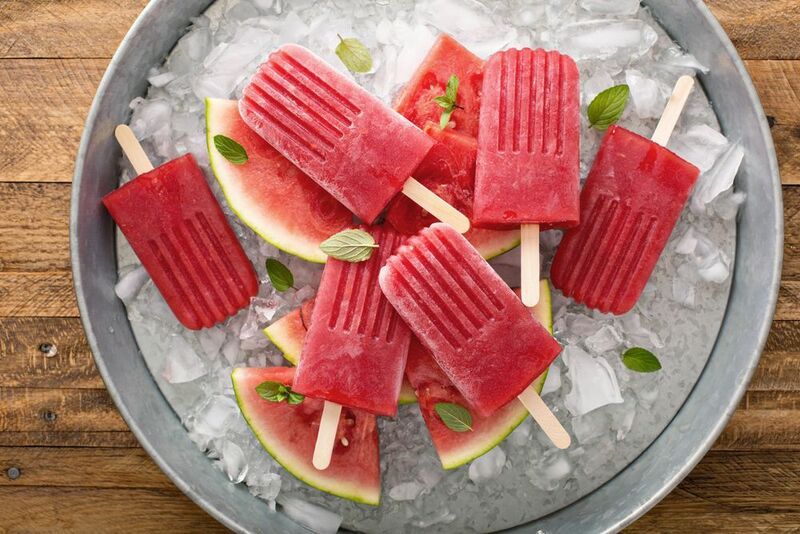 Homemade pops are a favorite healthy treat on those hot summer afternoons. The key to any good ice pop is the mold. You can find a popsicle mold just about anywhere, but we love Nopro’s ten-pop mold (Amazon, Walmart, Target). The pops look store bought and are easy to remove. 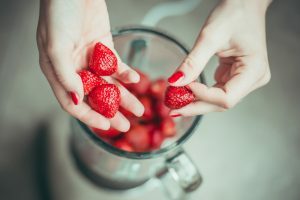 For the strawberry watermelon pops, you need two cups of strawberries, two cups of watermelon and one the juice of one lemon. Combine all three ingredients in a blender and blend until they are liquified. Fill the molds and freeze for four to six hours. And there you have it – a sweet summer treat with only natural sugars. This will make 10 pops. Here’s another frozen treat to satisfy anyone’s sweet tooth. You will need a sheet pan that can fit in your freezer. We suggest lining it with wax paper before you begin for easy cleanup. Grab a large container of your favorite plain yogurt and mix it with a tablespoon of vanilla. Pour the yogurt directly on to the pan, evening it out slightly with a knife or spoon. Add fruit directly to the yogurt. Get creative with your combinations! Blackberries, raspberries and strawberries make a good combo as does kiwi, pineapple, blueberries and strawberries. Freeze the bark as-is for four to six hours. Slice and enjoy! For a fun twist, add granola and raisins or used flavored yogurt. This easy sorbet recipe doesn’t even require an ice cream maker! Simply blend together one cup of frozen raspberries, one-half cup of water, and one-half tablespoon of lemon juice (add a bit more if you like it tart). As these are blending, slowly add up to one-third of a cup of raw honey. This will add a natural sweetness. Taste it regularly as it blends until you reach the desired flavor. Then freeze until the desired consistency is acquired. This only makes one serving but the recipe is easy to double (or triple!). And there you have it: three quick, easy, and healthy desserts your whole family will love — even the picky eaters! Wondering what’s for dinner, now that dessert is covered? 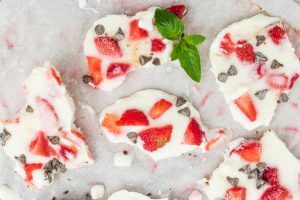 These frozen desserts are the perfect treat to complete a meal begun with one of our fully-prepared freezer meals or meal kits. 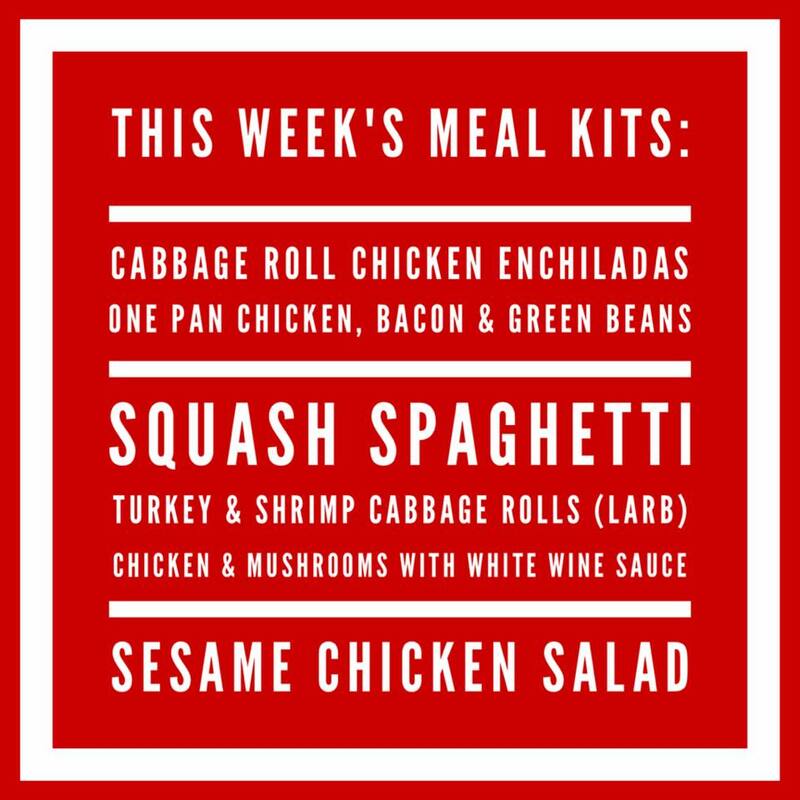 The One Pan CBG (Chicken, Bacon, and Green Beans) meal kit and the Vegetarian Lasagna freezer meal are both staff family favorites. 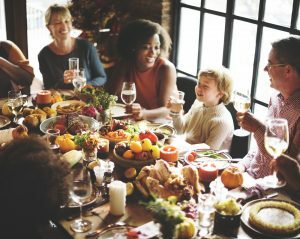 Despite its fictional origin, Thanksgiving remains an iconic American holiday. It brings families and friends across the country together for a shared meal. For cooks, the holiday also brings worry. What if the stuffing tastes too salty? Or what if the pumpkin pie ends up burnt (again)? And, of course, there are the leftovers: how many ways can you use turkey, anyway? 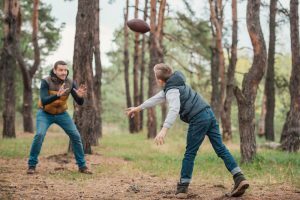 · Playing a family flag football game. Divide everyone up into teams, perhaps by family so no one is left out. Then, use the backyard or public space to play your own flag football game. This will be a nice break between watching the Macy’s Day parade and all the Thanksgiving football games on T.V. · Give back to the community on Thanksgiving morning. Before you serve your family, why not serve your community? 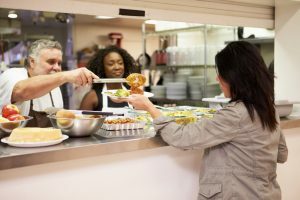 You could volunteer to serve breakfast at a local homeless shelter. Or, you could deliver meals to the elderly. This allows you and your family to start off the day serving others. It is also a great lesson in gratitude. · Encourage everyone to take a post-meal walk together. That way, family time can continue beyond dinner time. Plus, you can burn off a handful of the calories from those three delicious pieces of pie. · Video call family members who cannot make the meal. That way, they will feel included despite the distance. Also, you’ll be able to remind them why you are thankful for them. · Replace your best tablecloths with butcher paper. Then, encourage everyone to write down some things they are thankful for. 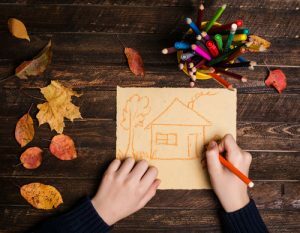 You can include younger family members as well by encouraging them to draw what they’re thankful for. After the meal, have everyone share a few of theirs. · Write everyone’s name down on a Popsicle stick or piece of paper and shuffle them in a bag. Don’t forget yourself! Then pass the bag around and have everyone pick out someone. Give them some time to think. Then have them say why they are thankful for the person whose name they drew. Everyone will feel grateful for those around the table and affirmed of their place in the family. · Do Thanksgiving potluck style. Ask different family members bring different dishes. Then create a “cookbook” of everyone’s recipes. This a fun way to recognize the hard work that goes into a Thanksgiving meal. It’s also a great way to record and pass on favorite recipes to kids. 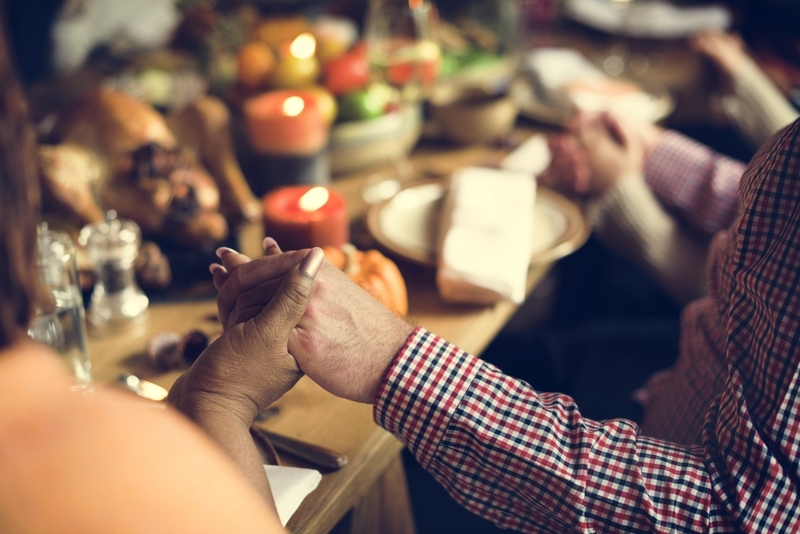 Gather everyone together and celebrate everything you all have to be grateful for this Thanksgiving season. These are valuable memories for all involved. Remembering all there is to be thankful for will lead to contentment in the rest of your year. And don’t forget the leftovers!